Innovations | Telescopic slides | Thomas Regout International B.V.
By listening to our customers, we identify current and future needs. Our highly qualified R&D department turns these market demands into innovative telescopic slides. 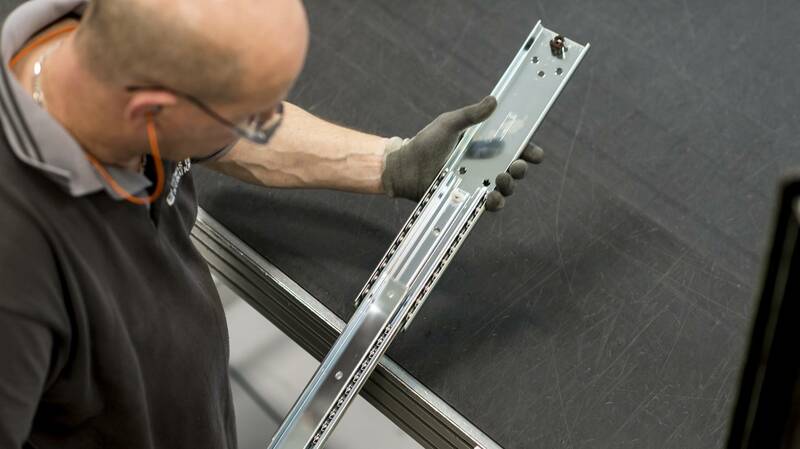 We design, produce and assemble components in-house and for that reason we have total control at all stages of the process. We have decades of experience in co-design, tooling, prototyping and testing at a high level. Our capabilities in complex development are numerous, e.g. green belt and black belt in design for six sigma. The full company, so also the development process, is certified according to IATF16949, the worldwide automotive quality standard. Single extension slide with motion control for automotive; a new special automotive project.